Lesters were pleased to accept the opportunity to sponsor a recent race meeting at Oxford Greyhound Stadium, and all the staff went along to support the event. Lesters Senior Partner, James Gesner, is a Greyhound owner himself and a keen follower of the sport. James commented "Being offered this sponsorship opportunity was great news for Lesters. We all enjoy the sport, and we all enjoy a good night out, so it made perfect sense." 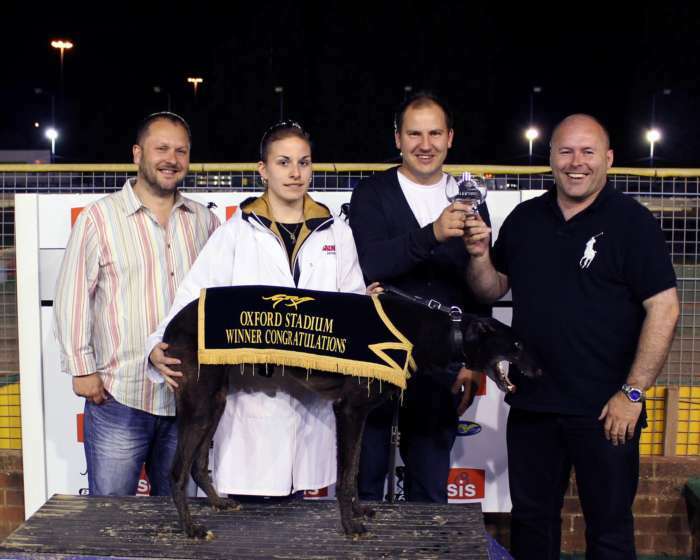 James` dog was not running at the meeting, so he was pleased to present the Winner`s trophy to Pawsey`s Pride.